Announcing our new line of These Great United States! 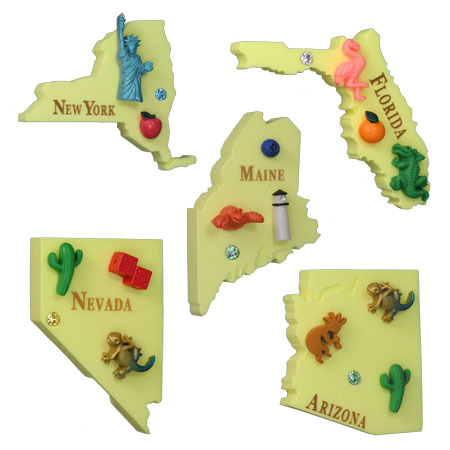 Each magnet is made from a thick silhouette in “map yellow” with the capitals marked by a Swarovski crystal. Decorating each state are miniature examples of what makes that state great, like their official bird, flower, or tree, or a notable tourist destination. We have all 50 states and the District of Columbia.